So, how to treat canker sores ? In patients with a few or minor canker sores, usually no treatment is needed apart from simple canker sore relief like a canker sore mouthwash . This simple canker sore remedies can be made at home just by mixing sodium bicarbonate (baking soda) in warm water to keep the mouth clean. However, when patients are more severely affect, some form of canker sore medicine can provide significant control but not necessarily an effective way on how to heal a canker sore. Rational treatment would include drugs or canker sore prescription that can manipulate and or regulate our bodies immune responses. In this category, corticosteroids currently offer the best for disease containment. In severely affected patient , systemic steroids may be used for an immediate control. 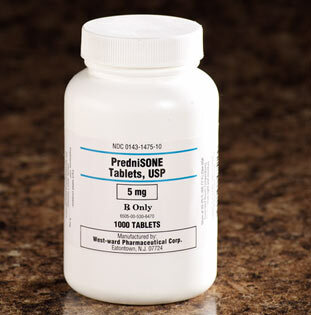 A low to moderate dose of prednisone for a short period of time is effective. A typical regimen might include20 to 40 mg oral tablets daily for one week, followed by another week at half the initial dose. However, for patients with mild to moderate canker sores, only topical (cream and ointments applied directly to the canker sore area ) therapy would be recommended. Topical steroids if used according to proper instructions have shown to be relatively safe and effective. Although most topical steroids have been developed for outer skin use, topical steroid agents can also be prescribed for oral mucous membrane use in the mouth. Intralesional injections of triamcinolone may be used in very severe localized cases. Antibiotics have been used in the treatment of canker sores regularly with a fair to good results. 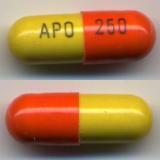 Tetracycline (a type of broad spectrum antibiotic) suspension used topically often produce excellent results. In addition to their antibiotic anti bacterial effect of keeping the mouth clean, tetracycline speed the resolution or healing of the canker sore. Since tetracycline readily breaks up in solution, it must be made fresh every time for use. A typical regimen for treating canker sores consist of emptying a 250mg capsule of tetracycline in 30 ml of warm water and than rinsing the mouth for several minutes. This is repeated up to four times a day for 4 days. Results are best if this mouth rinse is used on the first day that the canker sore appear or when they are in prodormal stage. Because of their profound side effects, immunodeficiency (Drugs that suppresses our bodies immune system) drugs such as azathiprine and cyclophosphamide drugs are generally justified for the treatment of severely affected patients , especially in AIDS patients. Two other drugs that have shown some therapeutic efficacy are pentoxifylline and colchicine. Sodium lauryl sulphate is derived from coconut , it is quite a prominent ingredient in most toothpaste. So far it has been suspected that one of the side effects of Sodium lauryl sulphate in toothpaste is that over time it tends to remove mucin, which is a natural protective film in the mouth. This opens the door for canker sores. However, this studies has not been scientifically proven. But just in case you can still opt for herbal toothpaste which usually does not contain sodium lauryl sulphate. 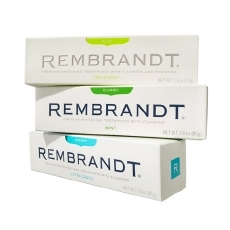 So far rembrandt canker sore toothpaste, would naturally be recommended for canker sore patients. Why ? Most whitening toothpaste have harsh ingredients and are not recommended for cankers. However, rembrandt canker sore toothpaste is formulated to help prevent new canker sores and also whiten the teeth as well. Diagnosis can usually be done clinically at chair side by your dentist. Biopsies or tissue samples are usually no necessary and therefore rarely performed. However, if the canker sore or ulcer gets worst , changes in appearance or does not heal in the predicted time frame. Please inform you physician for blood test check up and screening. Although causes of canker sores is unknown, several possibilities have been postulated. There are considerable evidence cancer sores are related to immune dysfunction of our body, and T-lymphocyte (a white blood cell) plays a significant role. The causative agent now can be a specific factor like endogenous ( from inside us , autoimmune) or exogenous (from outside factors). The cause can also be nonspecific, such as chemical trauma. Because of canker sore similarity to secondary herpes simplex virus infection, a viral cause has been extensively investigated. However, up till now there has been no evidence linking the two together. Other suggested causes include vitamin B deficiency, folic acid and iron deficiency patients have been found to have higher rates of canker sores occurrence. Patients with malabsorption disease such as celiac disease and crohn’s disease has also been linked to canker sores. Hormonal changes, stress and food allergies to in nuts and gluten has also been linked to canker sores. This entry was posted in Oral Care and tagged canker sore cures, canker sore medicine, canker sore mouthwash, canker sore prescription, canker sore relief, canker sore remedies, canker sore toothpaste, canker sore treatment, canker sores, how to heal canker sores, how to treat canker sores, rembrandt canker sore toothpaste on February 21, 2010 by samanthaloh.